over at the French Cupboard. 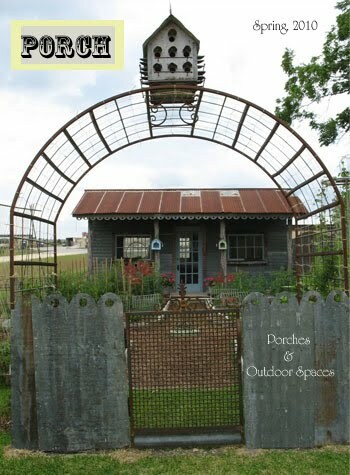 Linda and Ludmil's garden and shed is on the cover! those lights are so cool.......and funny enough: I follow your blog, and I am in Porch this month too! Hi Debra! Congratulations! That's marvelous. I've never seen this magazine so I'll have to check it out! And so they should be lovey. You did a spectaclur job on that garden shop photo shoot. Bravo! That is just fantastic! Congratulations, thanks for sharing! How cool, Debra. I haven't seen the magazine so I will go to the French Cupboard! Congratulations! That is so neat! Congrats! so well deserved! what a great photo to go into a cool magazine. Hi Debra! No wonder they used your photo, it's wonderful! You really captured what the shop was all about. I'm so glad that I know a celebrity. You rock! !